Sikorsky announced April 24 the Canadian certification for the expanded gross weight capability option for new S-92® helicopters. 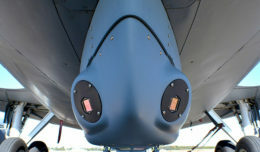 The option increases the maximum take-off weight from 26,500 to 27,700 pounds, allowing operators to carry an additional 1,200 pounds of payload. This capability was first certified by the U.S. Federal Aviation Administration in 2015. Sikorksy is a Lockheed Martin company.